An insurance policy, which can be purchased, following an incident, to cover the legal costs associated with using a solicitor to pursue a claim. An insurance policy, which can be purchased, as part of, or in addition to household or vehicle insurance to cover legal costs incurred when using a solicitor in the event of a claim. A method of submitting a claim against a defendant electronically, the portal allows for the secure exchange of information for certain types of claim valued up to £25,000. The claimant is the person bringing a claim for compensation. The term claimant is used on the court documents. The other party to the action is the defendant. Money paid to make up for injury, damage or loss suffered. The section within the Department for Work and Pensions responsible for recovering from insurance companies, social security benefits and hospital fees for emergency treatment paid as a result of an accident, injury or disease, where a compensation payment has been made. A conditional fee agreement (in England and Wales) explains in what circumstances you will have to pay your lawyer’s fee for legal services. It is also commonly known as “no win no fee”. The most common type of agreement is where legal fees only become payable if the case is won. In those circumstances you will have to pay your lawyer’s fees and in addition there is usually a success fee (see below) payable on top. Most of the time, the losing party will pay back any expenses incurred by your solicitor and legal expense insurance may cover any difference. However from April 2013 you will not be able to claim back the success fee from the losing party. This will be taken from your damages if your case is successful. Where one’s own carelessness or actions attribute to the damage suffered. Costs or legal fees are incurred by your solicitor from the moment he/she takes control of the case. Legal fees are made up of a payment to your solicitor for working for you, a success fee (see below), disbursements (see above) and VAT. A government body set up to pay money to people who have been physically or mentally injured because they were the blameless victim of a violent crime. Considers appeals against decisions made by the Criminal Injuries Compensation Authority. The financial award received upon the successful conclusion of a claim. For example pain, suffering and loss of amenity (see below), loss of earnings, future loss of earnings, cost of care, cost of treatment. This is a method of funding a case where the solicitor receives a percentage of your damages if they win your case. You should always agree in advance with your lawyer what the percentage deduction from your damages will be before you proceed with your claim. The percentage agreed should not exceed 25 percent of your damages, excluding those calculated to pay for your future needs. This could also be known as a contingency fee agreement. The defendant is the person, company or organisation against whom a compensation action is brought. The term defendant is used in the court documents. The compensation action is brought by the claimant. Payments made by solicitors on behalf of their clients including, medical record fees, medical report fees and court fees. In the vast majority of cases these amounts are recovered from the losing party at conclusion of the claim. Compensation for the injury or pain suffering and loss of amenity element of a claim. Payments on account of damages made before a claim has settled. The initial letter that is sent to the party that the claimant is holding responsible for causing their injury. This letter sets out the basis on which the claim is being made. Someone who is authorised to pursue a claim on behalf of person who is under 18 years of age, or who lacks mental capacity. A litigation friend is often a parent or guardian. The time by which you must have made a claim for compensation. It is usually three years from the date of the accident. Different rules apply for children and for disease cases and a solicitor can advise you whether or not your claim is time barred. A central fund set up to pay money to victims of road accidents caused by uninsured and untraced drivers. 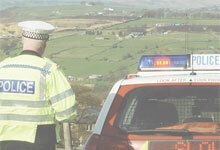 The MIB is funded by all UK motor insurers. See conditional fee agreement above. The legal term for the type of damages awarded to a claimant to compensate them for injury, as opposed to other types of damage (for example, damages for loss of earnings). This is the mechanism that enables both the claimant and defendant to make offers of settlement that might be considered binding should the case ever get to court. The value of a claim for damages or part of a claim for damages. Some injuries and deaths are considered so serious that the law requires that they must be reported to the Health and Safety Executive (HSE). A full list of reportable incidents is available on HSE website. The compensation received in respect of certain expenses; e.g. loss of earnings, damaged clothing. The success fee reflects the risk that the lawyer has incurred as a result of only being paid if the case is successful. You should in most cases be able to recover your lawyer’s fees from the other side; however from April 2013 you will not be able to claim back the success fee from the losing party. This will be taken from your damages if your case is successful. You should always agree in advance with your lawyer what the percentage deduction from your damages will be before you proceed with your claim. The percentage agreed should not exceed 25 percent of your damages, excluding those calculated to pay for your future needs.